Congressional leaders lashed out at the White House this week for what they describe as a series of intentional lies about the nature and intent of last summer’s comprehensive nuclear agreement with Iran, according to statements provided to the Washington Free Beacon calling on one senior Obama administration adviser to resign over the growing scandal. The statements come following yet another Iranian ballistic missile test and a New York Times article quoting two senior Obama administration officials saying they misled the press and U.S. officials about the agreement. 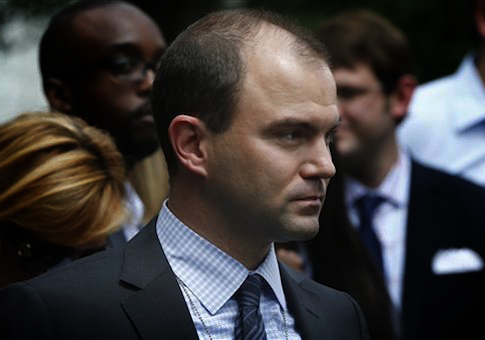 The statements, made primarily by senior Obama administration adviser Ben Rhodes, have angered some on Capitol Hill who accuse the White House of using deceptive methods to garner support for the nuclear deal. "Rhodes should resign for willfully and ‘actively misleading’ lawmakers and the American people," Sen. Mark Kirk (R., Ill.), a critic of diplomacy with Iran, told the Free Beacon Tuesday in a statement. "The New York Times reported how Ben Rhodes used an ‘echo chamber’ of reporters and sympathetic think-tanks to spread the misconception that the rise of so-called moderates in the Iranian regime led to talks for the flawed nuclear deal when ‘the most meaningful part of the negotiations with Iran had begun in mid-2012, many months before Rouhani and the ‘moderate’ camp were chosen in an election among candidates handpicked by Iran’s supreme leader, the Ayatollah Ali Khamenei,’" Kirk added. Rep. Mike Pompeo (R., Kan.), a member of the House intelligence committee, accused the administration of waging a campaign to deceive the American people about the nature of the Iran deal. "As the Iranians reportedly launch their third ballistic missile, and Obama administration officials admit to distorting facts regarding the Iranian nuclear deal, it is clear that the American people have been played," Pompeo said in a statement provided to the Free Beacon. In recent days, the White House has been confirming what many of us feared: it has pursued a long-running campaign to make peace with the Islamic Republic of Iran—at any cost." "After years of secretive negotiations with the Islamic Republic of Iran, we are learning that President Obama has misrepresented reality," Pompeo added. "Yet, the president and his allies continue along headstrong—ignoring all objections—and the Iranians continue to illegally launch missiles that are capable of reaching American troops, and our most important ally in the region, Israel." Pompeo described the Obama administration’s "manipulation of the press" as "disgraceful." "I hope that these most recent revelations will lead the Obama administration to reconsider its other overtures to the mullahs, such as the planned purchase of heavy water, sensitive nuclear material, from Iran," Pompeo added. Rhodes has come under intense scrutiny and criticism in the days following the New York Times report, which quoted Rhodes and another senior aide recounting a campaign to manipulate the press and others into backing the nuclear deal. The State Department has come under further criticism for editing a video showing former spokeswoman Jen Psaki stating that the press should be misled in certain situations. This entry was posted in National Security and tagged Ben Rhodes, Mark Kirk. Bookmark the permalink.